It was a fabulous three weeks in Oaxaca that now feels simultaneously like I was there for forever and that it was all a dream. I’ll just sum it up in five words– so much damn good mezcal. Max did a great little write up about how the mezcaleria scene is changing, with differentiation coming in style and design and of course breadth of offerings. To my great dismay, I was not able to get to Cuish to see live and in person their newly revamped space. By all accounts, it is beautiful and is at the top of my list when I return. 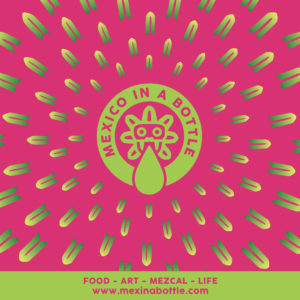 I have such high regard for what Felix Hernandez Monterrosa and Hilda Martinez Popoca have done for mezcal in Oaxaca. When they opened their doors in 2011, there were only two other mezcalerias – Los Amantes and Reunion de los Palenqueros. 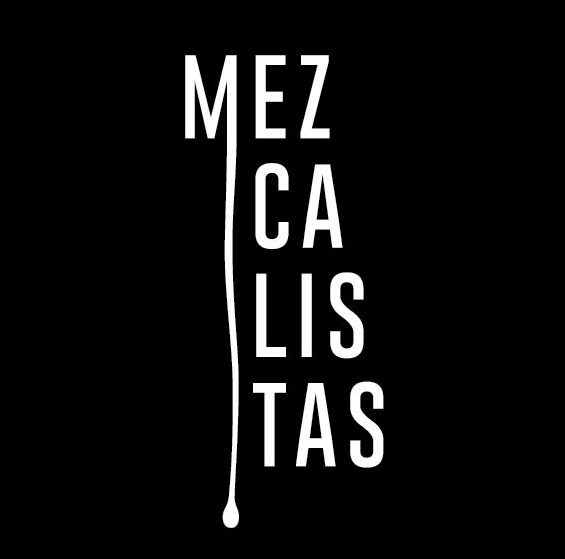 Their youth and connection with the families making mezcal and the studetns in the art scene made for a powerful force in reviving mezcal among young Oaxacans. Only six years have passed but it feels like a lifetime. Needless to say when I got a message from Felix and Rion Toal wondering if I might be available to help “judge” a mezcal competition at the third annual Encuentro de los Maestros del Mezcal, I was beyond honored and humbled and scared shitless, especially when I heard that Sandra Ortiz of In Situ and Hilda would also be on the all female panel. Maestros del Mezcal is loose cooperative of mezcal makers throughout Oaxaca. They are all small producers and the idea of the cooperative is that by banding together for events and marketing, they can reach a larger market and sell more product. 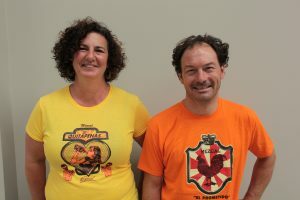 Abel Cain, the organizer of the group, has big plans including a mapping and labeling project to highlight the indigenous history of each of the makers. I was able to pick up their map that outlines the various mezcal regions in Oaxaca, including community names and the predominant magueys in those regions. The encuentro was held a space called Casa Estambul by the founders of Arrecife Magazine and now defunct Piedra Lumbra mezcaleria. Inside a colonial house with a courtyard in the middle, it is beautiful in its sparseness and simplicity. It also has a very cocktail forward bar. The event fell on the same day as Noche de los Rabanos, and showcased about 13 makers. After putting together the 18, yes 18, mezcals that would be part of the competition, Sandra, Hilda, Caramelo Vasquez and I were seated in the middle of the courtyard where everyone was able to watch us taste through the mezcals. No closed door deliberations here. A totally blind tasting, we had three rounds, reducing the number with each one. And I have to say, it was almost impossible to judge. There were espadins and karwinskiis and mexicanos and ensembles. Flavors and styles were all over the place and I found myself making notes like – this one I could drink all night, this one only at a wedding, this one in the afternoon, this one I have no idea what to do with because I have never tasted anything so complex before in my life. 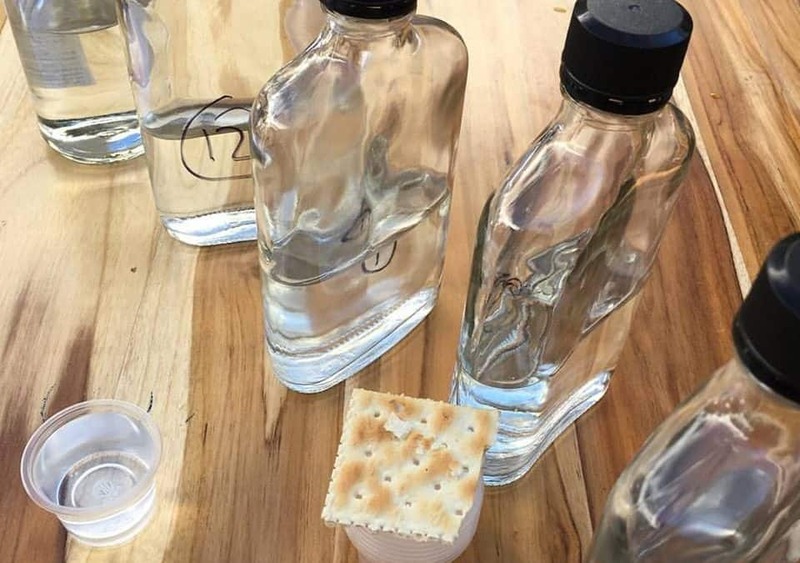 Thankfully Sandra had brought crackers, and we had plenty of water because, well, 18 mezcals. What was amazing was that by the time we had narrowed it down to the final three, we were all on the same page on which mezcals should advance with each round. So which one finally “won”? It came down to a divinely complex madrecuishe and a big bold tepextate. In the end, the tepextate took the top prize. As an all woman panel, how we managed to select a mezcal from a woman in a blind tasting is beyond ironic to me, but win Reyna Sanchez did. Wow! Super cool and what an honor to be there as a judge. You rock! And if you ever have a bottle of the Reyna tep to sell, I am all over it! Very informative. Do you have a high resolution version of your map? Off hand I don’t have one but I’ll look around and see if we can find one. If we can, then we’ll post it.